Protein is vital for the sustenance of overall health. It provides energy, helps the body to recuperate, and makes sure we are satiated. It is made of long-chain amino acids, which are the building blocks of muscles. Your body already generates 11 amino acids, but the 9 essential amino acids you need to obtain from food sources. Given this, it is possible that you can have protein deficiency, if you’re not eating the right foods that can deliver proteins to your body. But how would you know that you’re not getting sufficient amount of proteins to sustain your body and overall health? If you’re more into consuming carbs than proteins, you may be feeling the need to snack on something between meals. That’s why a high protein breakfast is recommended to avoid hunger pangs throughout the day since foods rich in protein can keep the tummy satiated for a longer period of time. Also, protein consumption can help balance your blood sugar levels. When your muscles are weak, or often feel pain, could be an indication of your muscles or joint fluid disintegrating to supplement calories instead of utilizing protein you consume to develop muscles, tissues, and cells. 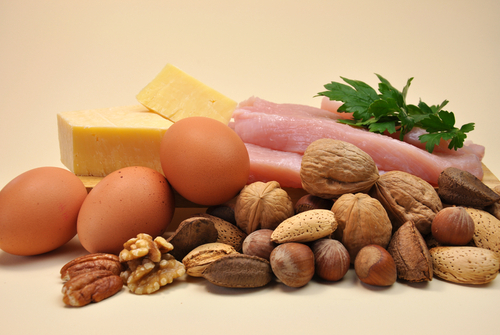 Protein is crucial for curing and regenerating new cells, tissue and skin. Protein is also vital for ensuring that your immunity remains strong. When you have an injury that’s taking some time to heal, it may be because you’re loading your body too much carbs that you forget about protein-rich foods. If your hair is thinning and falling, your nails having crinkles, and your skin peeling off, you may not be getting enough protein. These physical manifestations are some of the initial indications that you are in a serious need of protein. Protein portrays an important role in stopping fluid from building up in tissues, particularly in feet and ankles. Inadequate protein intake can, of course, result to Edema or fluid accumulation. Frequent sickness constitutes to poor immune system and immune cells are mostly composed of proteins. Thus, if you’re serious in fortifying your immunity, you need to consume more proteins. This way, you have a higher chance of not being sickly and lame. Foggy brain and lack of mental vigor may be associated with changeable blood sugar and protein deficiency. Basically, it’s hard to suffer from protein deficiency if you have a diet consisting of an assortment of whole foods. 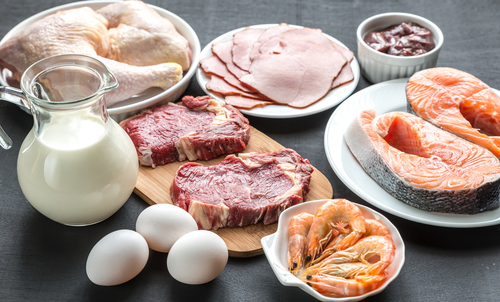 If the protein you’re getting is inadequate, this could mean you’re not consuming sufficient amount of calories, you’re following a strange diet, or you’re suffering from some digestive malfunctions. If you only eat a few calories, your body will automatically use the protein you got from foods you ate for energy rather than constructing muscles, strengthening your immune system, and making sure your hair, nails and skin remain healthy. Essentially, the average individual has to consume 0.36 grams of protein per pound of the body weight. 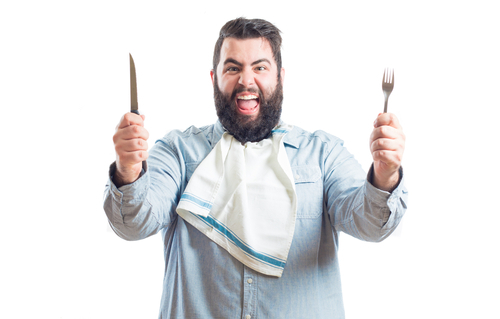 For someone who has a weight of 120 pounds, that would be about 43 grams of protein each day. On the other hand, there’s no right amount of protein precisely. It still depends on several factors, which includes age, activity levels, muscle mass, and the present health condition. Does Controlled Labs Purple Wraath Work?